Dr. Kokonas graduated with Honours from the University of Manitoba Faculty of Dentistry in 1997 and from the Faculty of Science in 1993. Dr Kokonas completed her Fellowship in Dental Implantology from Temple University in 2008. Throughout her educational career, Dr. Kokonas was highly promoted for her academic excellence with numerous awards and distinctions. Since graduating, Dr. Kokonas has practiced dentistry in Mississauga, Bolton and Orangeville. Dr Kokonas opened her own dental practice in Orangeville in 1998 and Bolton in 2008. Dr Kokonas places a strong emphasis on providing interdisciplinary comprehensive care, family and preventive dentistry, along with a team of specialists, high quality dental materials and the latest dental techniques in a friendly, relaxing atmosphere. To aid in comprehensive diagnosis, treatment planning, case presentation and treatment, Dr. Kokonas uses the latest in dental technology, including: computerized consultation video illustrations, digital radiography, intra oral cameras and digital photography, iTero and Cerec Cad/Cam Restorations, Zoom Whitening, Invisalign Invisible Braces, Laser Dentistry. Dr Kokonas promotes a strong emphasis on ongoing continuing dental education for her entire dental team. 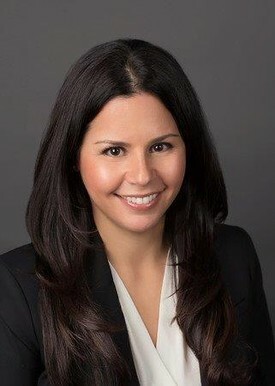 Dr. Kokonas belongs to various study clubs and continues her dental education by regularly attending the Pankey Institute for Advanced Dental Education, and Spear Education in Scottsdale. Dr.Kokonas is an active member with the Spear Education Faculty Study Club, The Ontario Dental Association, Academy of General Dentistry and the Halton-Peel Dental Association. Dr. Kokonas enjoys hiking, fitness, reading and spending time with her family. To view Dr Kokonas' full CV click here. 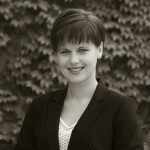 Dr Elena Grebeniuk joins Orangeville Dental Centre from the Ukraine, where she studied at O. Bogomollets National Medical University, Kiev Ukraine. Graduating in 2001 with the degree, Medical Doctor-Dentist, she continued to practice in the Ukraine for the next 8 years. Upon moving to Canada, she studied at Schulich School of Medicine and Dentistry, University of Western Ontario and graduated in 2013. Dr Grebeniuk has a passion for dentistry that has brought her here to Orangeville Dental Centre. We are happy to have both her experience and patient dedication on our team.